Our family had a long history with old Covent Garden market going back 3 generations. My grandfather Joe bought produce for his stalls on the Hitchin and Royston markets and later so did my father Joey, who ran a produce haulage firm from Hitchin, Hertfordshire. He contracted for K&I Griffin, a local fruit& veg merchant, one of many in the country at that time. Loads of onions and Ware potatoes were the norm for the wholesale markets of London and other markets of the UK, but in the main it would be Covent Garden or King's Cross potato market. In 1969 Griffins called it a day and were looking for a buyer when along came Covent Garden potato merchants Egan and Thomson, who at the time were looking for a prepacking and warehousing warehouse around the Hertfordshire/Bedfordshire area. They knew Mr Ivor Griffin had put the company up for sale. Griffins were a big player who had links with Covent Garden market since 1926 so would have been a good buy at the time. 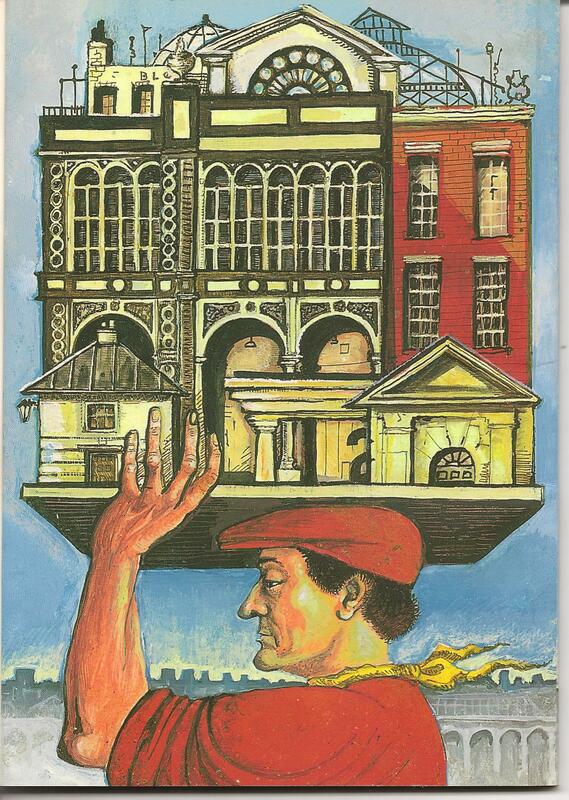 Alas it was not to be and the depot was sold for housing devlopment but my late father who was around when the meeting between two companies took place found himself hauling for Egan and Thomsom, who were then based at Russell Street, Covent Garden Market. I remember the office of E&T above Victor Toffs on the corner of Bow Street and Russell Street. Many times as a lad I'd go with Dad to the offices to collect the week's takings. He'd park the lorry in Drury Lane. At night we'd be tipping throughout the market stands with produce such as Norfolk potatoes Fenland carrots, etc. The stands were Shuters, Proctors, Major Bros, Greenleaves, Vindens, Vitacress etc. Our lorries would have collected throughout the day and in those days the market would be packed out with many lorries from all parts of the UK, mostly roped and sheeted loads. It was at times near impossible at night to gain access to a stand and park up so sometimes you could find yourself driving around the market 2-3 times until you were able to park. Many times it could end up in a argument between lorry drivers and at rare times a fight, something the porters would enjoy and would cheer one or the other drivers on. The whole "Garden" as we knew it was a hard but fair place to work. Looking back at that time Covent Garden Market was a wonderful old place. It was not only the big lorries that killed the old market, it was money and I think if you look at any working market near the central London area over the last 30 years they have all moved or gone. Today I have kept a vintage Bedford TK artic lorry which would have been used to haul 12ton loads of produce. 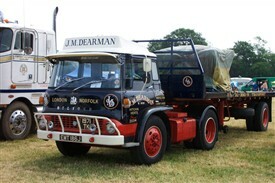 This would be one of many Bedford lorries that we ran on market work at that time in the early seventies. This page was added by Stephen Dearman on 21/04/2014.